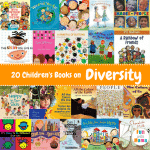 Open up some interesting conversations with your children using a book that includes a question of the day for kids . 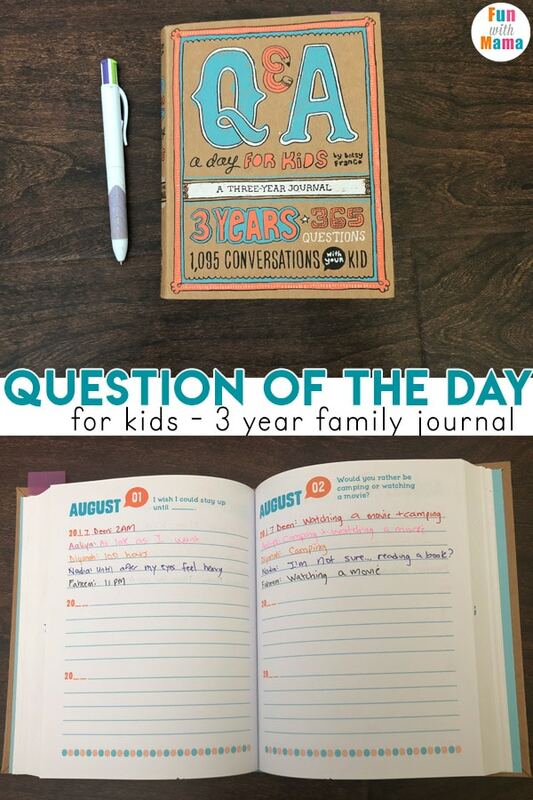 This 3 year journal can act as a family journal, family memory keeper and wonderful conversation starter. I was looking for a good family journal when I came across the question of the day for kids book. It was filled with some interesting and sometimes thought provoking questions and answers a day for kids. The book is by Betsey Franco and she has many similar books including a couples journal that is adorable. I bought that one for my husband and I… but my favorite out of the ones I purchased is definitely this one for kids. 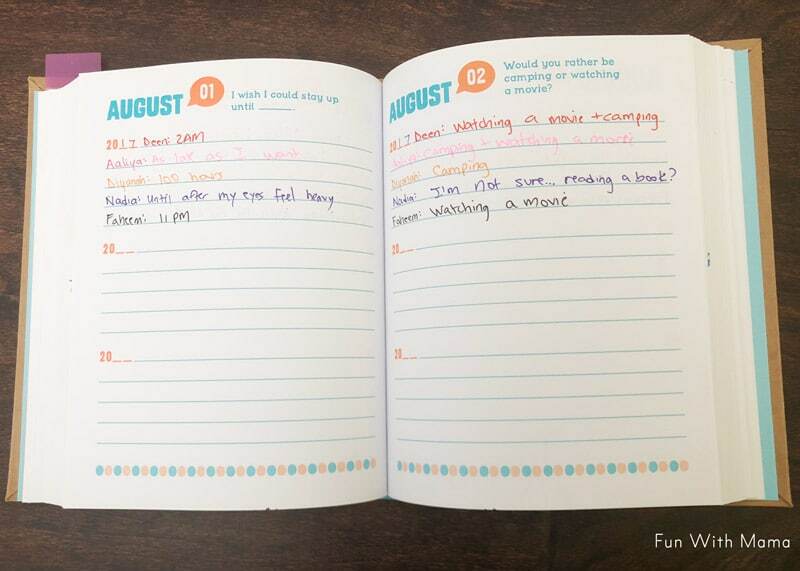 We do this as a family journal rather than just having these be strictly questions for kids. The children find it really interesting to hear our answers and as a couple, between my husband and I, we learn new things about each other too. 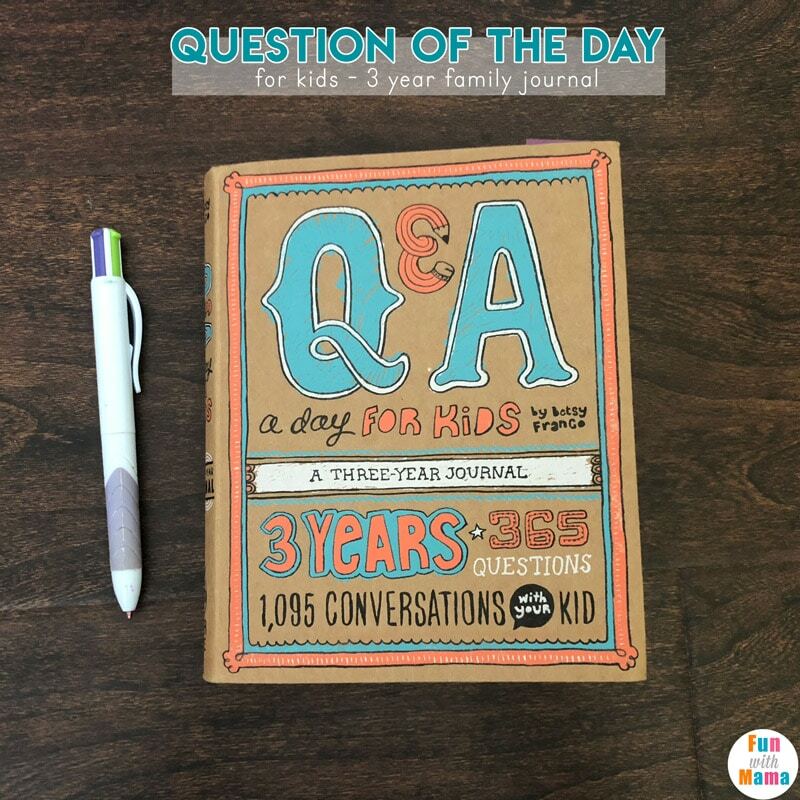 Each night after my kids put on their pajamas and just before they get into bed, we take out this q&a journal to see what the question of the day for kids will be. 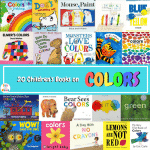 I have color coded each of our answers and given each person a specific line so that it is easy to look back on. I am always amazed at my 3 year olds answers and am in awe of how important the questions and answers are for her. My 8 year old also loves this special time and if i forget to take it out, she will set out to ask the questions. Would you rather be camping or watching a movie? I’m glad the character __________ is not real. There are so many more questions… some that are silly… some that are fun… and others that are thought provoking. I can’t wait to see how each person’s answers may change over the next few years. Journal writing is becoming really important in my home, especially for myself. As I get older and my memory becomes weaker… I want to remember these moments. 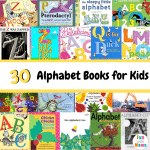 The ones where the kids are giggling or where their favorite food was cheese noodles. 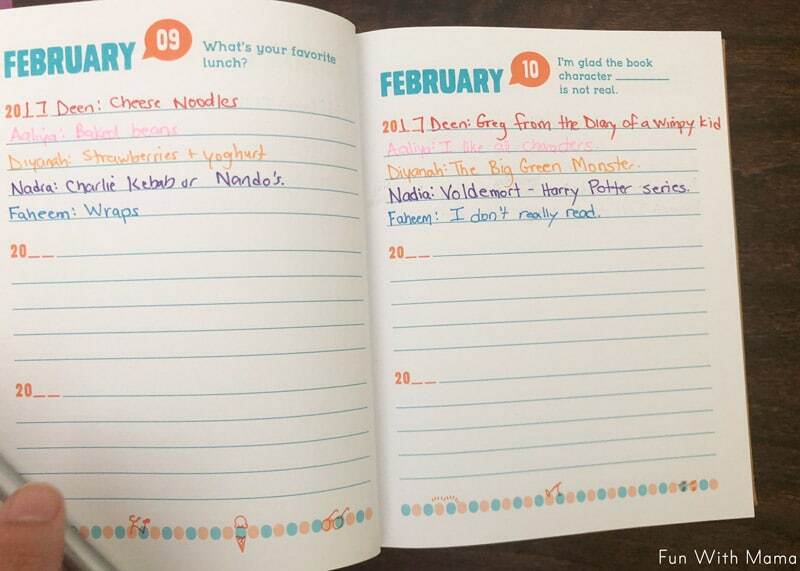 I want to see who their favorite book character was at that age and how their tastes and opinions change throughout the years. I highly encourage you to get this book. I am so glad that I purchased it and am so happy that it fit into our nightly routine so perfectly. 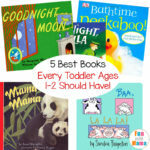 Check out this Toddler Bedtime Routine Chart Sequencing Activity.